Dam's udder FF 10 hour fill Gibson Farm STS Chiquita *M VVEV87 has once again made the Elite Doe list in the 99th percentile! . 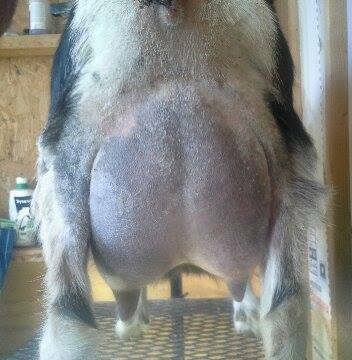 As a 2nd freshener, her last milk test at 275 DIM she was at 920lbs milk and 56lbs butterfat.